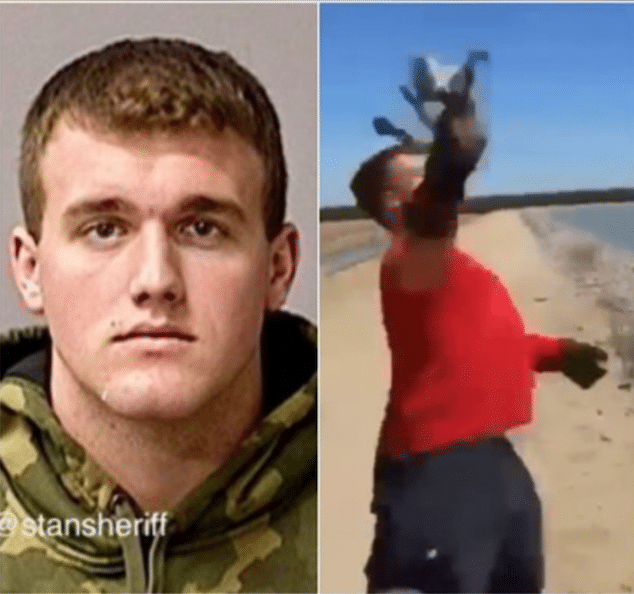 What led to Garret Haile a Patterson area, California teen throwing a cat in the lake and filmed it? Teen arrested after video goes viral one year after being filmed. 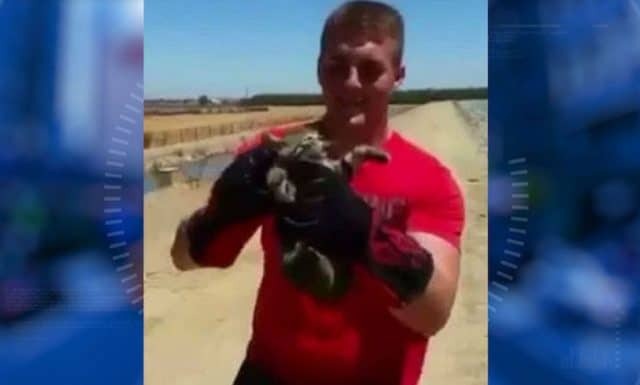 Garret Haile an 18 year old Northern California High School senior was on Friday arrested after a video surfaced of the teen throwing a kitten into a lake. Haile’s arrest comes after the video going viral. Oklahoma’s News 4, reported the video being taken over a year ago, but only surfacing last week after being widely shared on social media. Stanislaus County police were able to identify Haile as the culprit before arresting the Patterson High School student just before the start of school on Friday. Upon his arrest, the student was booked into jail on a felony animal cruelty charge – he is expected to face the charge as a minor. In the video, which runs eleven seconds, (press play above) a smiling Haile is seen wearing gloves as he holds the animal by the scruff of the neck and points it towards the camera. He then turns and forcefully hurls the cat high in the distance. The tiny animal soars into the air and then flips and turns as it comes crashing into the water with a splash. Come Sunday, the modestobee reported Patterson police arresting a 17-year-old Patterson boy on suspicion of participating in a criminal conspiracy. The teen is thought to have operated the video camera. Police revealed the minor being arrested at his home, Friday night. The video has since led to an avalanche of commentators expressing shock and disbelief. Of note, Haile’s arrest follows a similar incident which saw 16 year old Ontario, California boy Charles Arechiga being arrested last year after the boy was captured on a Snapchat video throwing a cat into the street. Haile has since been released from custody. The terms of bail were not available. His name is Garret Haile. I hope he goes to jail for a loooooooooong time.